If you are in tuned to whats going on in the world, you might have heard the crazy news about Google changing their logo this week. It is worldwide news for christ sake. Read the article by clicking here. The reason I wanted to mention this in my blog is to help people understand the importance of branding! When advertising your brand is done with care, you too can have an effect on your customers or potential customers when you make a change to your logo, just as Google did this week. First things first, do you have a brand? And what is branding exactly? A brand is an image of an experience with your business. How consumers view you. 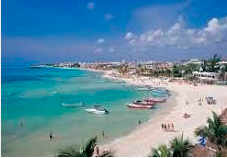 For example, when you go to the beach in Playa Del Carmen, Mexico. You remember the beauty of the palm trees, the snow white sands, the crystal clear blue waters and the sailboat scenery in the distance. 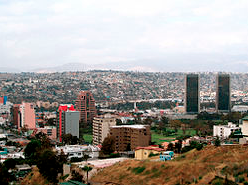 So when you think of Mexico, thats the image that appears in your mind. On the other hand, if you go to Tijuana, Mexico you picture cities, ghettos, children begging for money, people in the streets trying to sell you anything they can sell you…etc. So when you think of Mexico, thats what you envision in your mind. Well, consumers imagine things about your business as well. But do you know what? For example, I have a successful, close friend who sells real estate. He is branded in my mind in several ways. His real estate signs are everywhere. So when I think of real estate, I imagine his signs and his actual face. He has done a good job branding himself in my mind. In fact, if you are in the market he works in and mention his name, 9 times out of 10 people are going to know him, and probably say they see his signs everywhere. He has established himself as a brand in the real estate market. It has taking him many years to accomplish this task, but in the long run its paid off for him handsomely! Building a brand is like the rebuilding of New Orleans. It takes time, money, focus, careful planning and patience. Something that most people do not have a lot of. But if you are a business owner, you can not afford to ignore branding your business for long term sustainability. Yes, branding is a long term investment. But when the dust settles, it will pay off.